In this passionate, provocative romance, a spirited woman committed to stamping out social injustice finds herself battling a town constable…for her heart. Spirited Savannah Connor is passionately committed to stamping out social injustice. Yet when she arrives in Pilot Isle, North Carolina, ready to take up a new cause, she quickly finds herself on the outs with the town constable. Zachariah Garrett is the most arrogant, infuriating, maddeningly attractive man it’s ever been her misfortune to meet. And suddenly, Savannah is fighting a whole new battle—this one against her own yearning for a man who is impossible to resist. 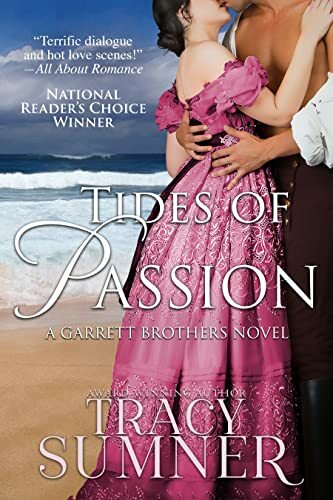 Click here to pick up your free copy of Tides of Passion in the Amazon Kindle store. racy’s story telling career began when she picked up a copy of LaVyrle Spencer’s Vows on a college beach trip. A journalism degree and a thousand romance novels later, she decided to try her hand at writing a southern version of the perfect love story. With a great deal of luck and more than a bit of perseverance, she sold her first novel to Kensington Publishing. When not writing sensual stories featuring complex characters and lush settings, Tracy can be found reading romance, snowboarding, watching college football and figuring out how she can get to 100 countries before she kicks (which is a more difficult endeavor than it used to be with her eleven-year-old son in tow). She lives in the south, but after spending a few years in “the city”, considers herself a New Yorker at heart. 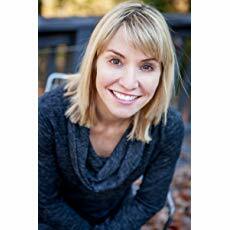 You can visit Tracy’s Amazon author page if you click here. Enter to win a new Kindle Paperwhite but hurry – today is the last day to enter! Just click here or point your web browser to http://smarturl.it/1118gw and enter away!